In developing countries, disease can kill as many as half of all livestock, reducing nutrition, trade, and prosperity. Helping address this challenge, research at WSU supports the new Global Burden of Animal Health Program. Across the globe, families depend on livestock animals for milk, meat, eggs, even muscle power. But when a valuable cow or sheep gets sick, farm families face a stark burden affecting not just their herd’s survival, but human health and potential losses for years to come. National agencies and nonprofits have long sought a clear picture of how animal disease affects us all. Now, scientists at Washington State University are helping launch the new Global Burden of Animal Diseases Program, shedding light on how animal diseases impact not only animal productivity, but human lives and economies. “Every country in the world deals with the burden of animal disease, and for many, our empirical evidence indicates that burden is, unfortunately, quite large,” said Thomas Marsh, Distinguished Professor of Agricultural & Resource Economics in the School of Economic Sciences, and adjunct researcher in the Paul G. Allen School of Global Animal Health. 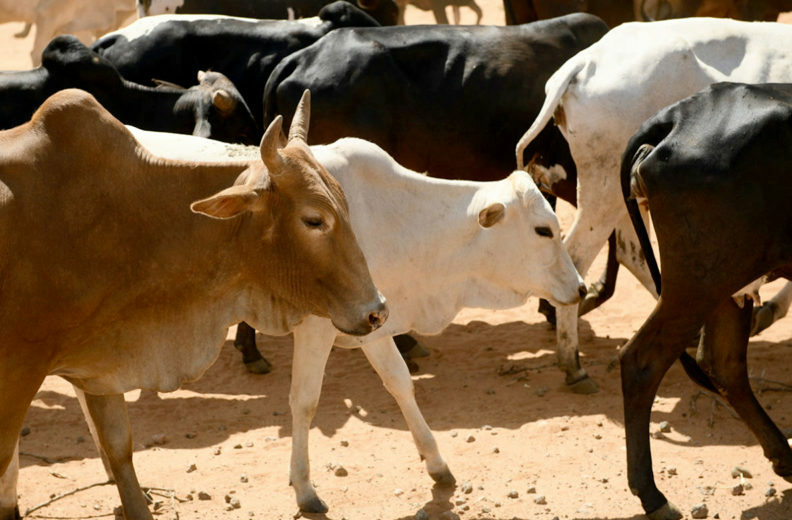 Devastating diseases like East Coast Fever (ECF), a protozoan parasite that breaks out frequently and is often fatal to cattle, are estimated to kill as many as half of all livestock in developing countries, but the real number is unknown. Some disease outbreaks have a chilling effect on trade across the world, with losses in the hundreds of millions of dollars — a significant part of GNP for some countries. Disease shuts off trade and drastically affects prices, depressing profits for farming households. Vaccinating cattle, like this calf, can result in multiple financial and health benefits for farm families. “When the Masai people of east Africa lose a cow to ECF, they lose the milk they live on, directly reducing nutrition for that family,” Marsh said. “Sick cattle can’t pull or plow, so farmers can’t haul a load or put in crops. Animals are an investment, and once lost, they no longer provide that income over time. Through social measurement using country specific data sets, surveys, field work with livestock owners, and partnership with government and private agencies, the Global Burden project takes a systematic approach to gathering data on markets and diseases that affect cattle, sheep, pigs, poultry and other livestock, creating the clearest picture yet of the true costs on households — and providing insight and awareness for treatment and prevention. 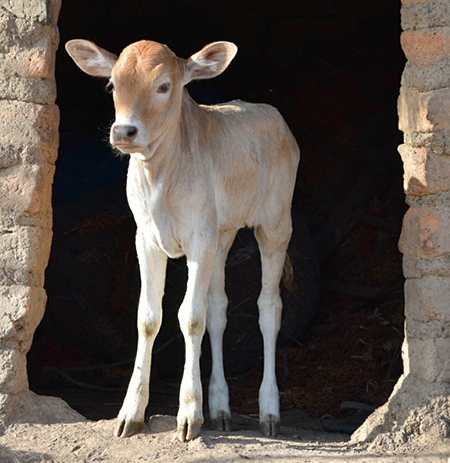 Launched at a 2018 workshop by scientists from the University of Liverpool, Murdoch University, University of Zurich, the University of Washington, the Food and Agriculture Organization of the United Nations, WSU, and several independent consultants, the 10‑year project has received initial funding from the Bill and Melinda Gates Foundation and the World Organization for Animal Health. Program leader Jonathan Rushton, professor of animal health and food systems economics at the University of Liverpool, and nine other co‑founders, including Marsh, unveiled the project in the August issue of The Lancet. “We’re not only advancing understanding of the trends and challenges in animal health and disease, we’re helping to find the most effective and efficient means to reduce the burden of disease, ultimately safeguarding human health and prosperity,” said Rushton. “We have the chance to make a big difference, not only in developing countries, but also in the developed world,” said Marsh, who will lead WSU efforts to gather economic data through the project. Thomas L. Marsh, School of Economic Sciences/Paul G. Allen School of Global Animal Health, 509‑335‑8597, tl_marsh@wsu.edu.